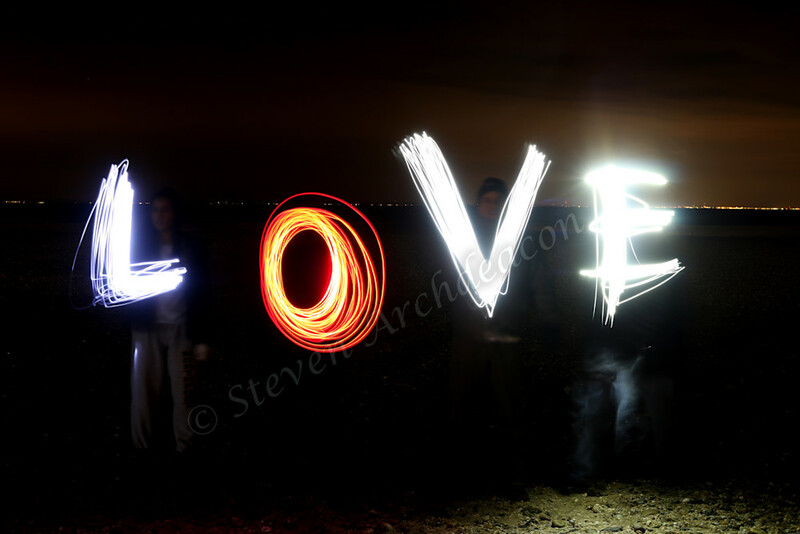 LOVE Light Painting Night Photograph by Steven Archdeacon. LOVE Light Painting picture with flashlights. This picture was done with 4 people on a beach with each of us holding a flashlight towards the camera to spell out LOVE. It was actually my nephew's idea to spell LOVE and is one of my best selling pics as we all need LOVE in our lives!